Jeremy Camp was born in Lafayette, Indiana, United States. His father Tom, the pastor at Harvest Chapel (associated with Calvary Chapel, Costa Mesa, CA), taught him how to play guitar. After completing high school, Camp attended an Assemblies of God college in Southern California for two years and later earned an associate of theology degree from Calvary Chapel Bible College. After one of the worship leaders heard him play in the kitchen of the school he urged Camp to become a part of the worship team. Soon he led worship and played all over Southern California. 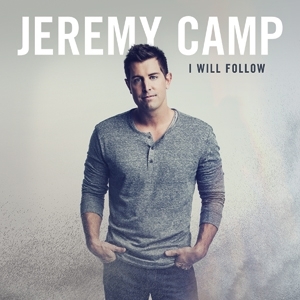 Read More Jeremy Camp was born in Lafayette, Indiana, United States. His father Tom, the pastor at Harvest Chapel (associated with Calvary Chapel, Costa Mesa, CA), taught him how to play guitar. After completing high school, Camp attended an Assemblies of God college in Southern California for two years and later earned an associate of theology degree from Calvary Chapel Bible College. After one of the worship leaders heard him play in the kitchen of the school he urged Camp to become a part of the worship team. Soon he led worship and played all over Southern California. Camp has scored 32 No. 1 hits on Christian Radio across all formats (Contemporary Hit Radio, Hot AC, Rock, and Inspirational Charts). His album, Beyond Measure, contributed six back-to-back No. 1 hits, including the track "Let It Fade" which held the No 1. spot for 10 weeks on AC Radio. Camp has spent 175 weeks total at No. 1 across various formats in his career to date. His first single was "Understand". He has made ten music videos: "Understand", "Walk By Faith", "Take You Back", "Tonight", "Give You Glory", "Let It Fade", "I Am Willing" (a song that was not included on any of his albums), "Speaking Louder Than Before", "The Way", and "Reckless". He also has video devotionals for several songs on YouTube and GodTube. He has also released a DVD, In24, which chronicles a regular day on-tour, and often keeps his fans updated on his touring with Tour Blogs through his YouTube channel. Live Unplugged from Franklin, TN also includes a DVD of the concert, which was recorded for the live album. He also has scored a musical number, "This Man", and his video can be seen on YouTube. This video was made with clips from the film The Passion of the Christ. Camp is also credited as producer for his wife's album titled Don't Wait, which was released in September 2006. "Tonight", the first single from the album Beyond Measure, hit No. 1 on Christian contemporary hit radio. It was the 11th most played single on HR stations in 2007. "Give Me Jesus," the third single off "Beyond Measure," made it into the top 5 on Inspirational radio. The fourth single, "Give You Glory," debuted on Jewish AJ radio at No. 16. His song "Let it Fade" was the seventh most played song on HR radio in 2007. That year he also released a two disc (CD and DVD) for his concert tour "Live Unplugged" recorded in Franklin, Tennessee. His song "No Matter What" was the 4th most-played song on R&R magazine's Christian CHR chart for 2008. He also came out with his new studio album Speaking Louder Than Before, containing the hit lead single There Will Be a Day. 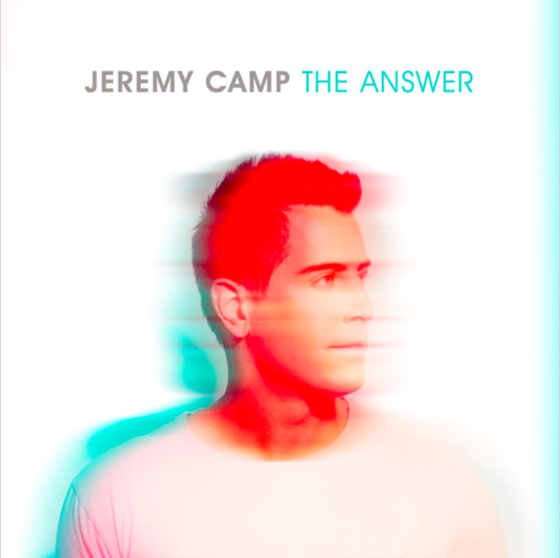 On November 17, 2009, Camp released another live album, entitled Jeremy Camp Live. This album featured songs from all albums to date. His Speaking Louder Than Before received his first Grammy nomination. On May 20, 2011, Camp released his first book, I Still Believe. The book is about Camp's life, illuminating his childhood, the death of his first wife, and where he believes God has brought him..
On March 13, 2012, Camp released a greatest hits collection entitled I Still Believe: The Number Ones Collection. The album includes 15 number one songs, as well as a never before released song entitled "Wait". Reckless was released on February 12, 2013. This was Camp's first studio album since 2008, when he released Speaking Louder Than Before. The first single released from the album was the title track, "Reckless". A video accompanied the single in February 2013. "Reckless" was followed by his second single "My God", which reached number 5 on the Christian Songs Chart. He also released an acoustic video of "My God" to his VEVO Channel in 2013. Over the last year and a half, this Grammy nominated, ordained minister has experienced a season of artistic growth and musical creativity, evident with his new album, 'I Will Follow'. This studio album, released with Capitol CMG, reveals a new level of versatility and depth. With producer Seth Mosley at the helm, a new sound emerges with a host of guest songwriters including the likes of Mosley and Jason Ingram. Here is Jeremy Camp's official Music Video for his brand new single 'Word of Life'.